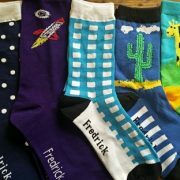 You might be wondering who is Fredrick Harold and why his name is on these colorful socks? No, he’s not the designer, nor the founder. 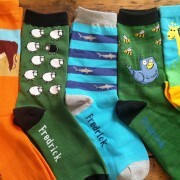 Before we get to the answer, lets start with how Fredrick Harold the sock company came into being. Like so many great businesses, it began with a person with too much time on their hands; as a hobby. Quickly, the designs gained a following, and demand grew. To accommodate the first round of mass production a crowdfunding campaign was launched which exceeded the funding target. 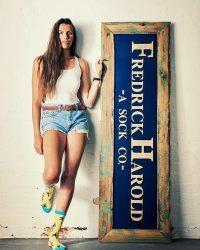 The early success continued with boutiques all over Australia stocking Fredrick Harold’s fresh off the loom, and orders from all corners of globe continuing to roll in. With original seasonal and occasional ranges coming out regularly our artists aim to produce a mix of exciting designs and sophisticated patterns. We are current, fun and carry a unique ‘handwriting’ – a recognizable style and feel we are proud of. 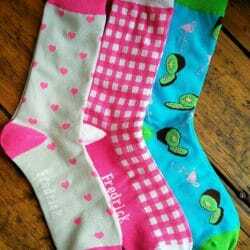 Fredrick Harold Sock Co. use a premium cotton blend sourced largely from Southern and Central NSW (Australia) which gives a luxurious light weight cushion foot with high absorbance and rapid wicking. Now, back to the important part – who is Fredrick Harold? Fredrick Harold is the first and middle name of the late Grandfather of designer and founder Jesse Bilkey. It was on the day of his passing that a series of events would lead to the beginning of the business. Fredrick was a farmer form Donald (Victoria, Australia). He was a salt of the earth gentleman who’s hands were stained a deep chestnut from decades of tireless working the land (the same land where Barney the Bull was reared). A selfless husband, father, grandfather and community man. 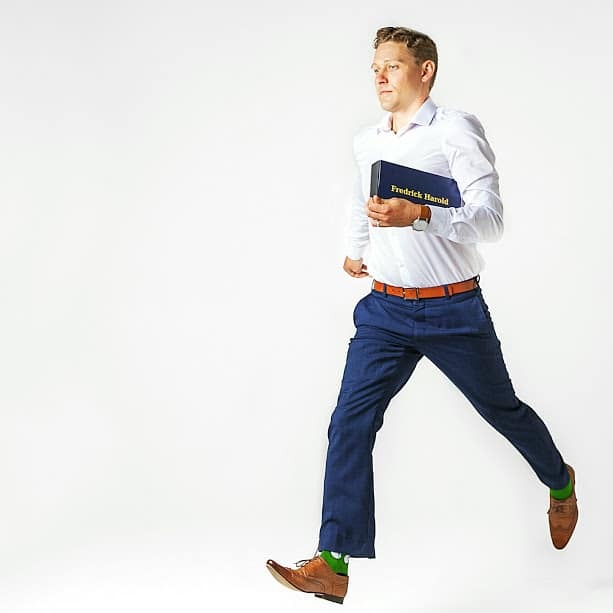 He believed no matter the task, you can choose how you do it. And it is in the spirit that we only bring you a quality product, no exceptions. 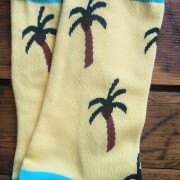 And we hope that when wear them it makes your everyday a little bit (or a lot) more joyful!